Recently while testing my application, I was facing problem of Session time out. that I already have done. I set it as 30 mins. but still my session was getting timed out after 20 min. 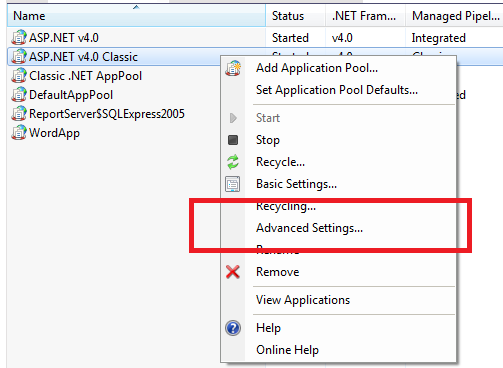 after a long invastigation I came to know Its because Of Default Settings of ApplicationPool for the application in IIS. 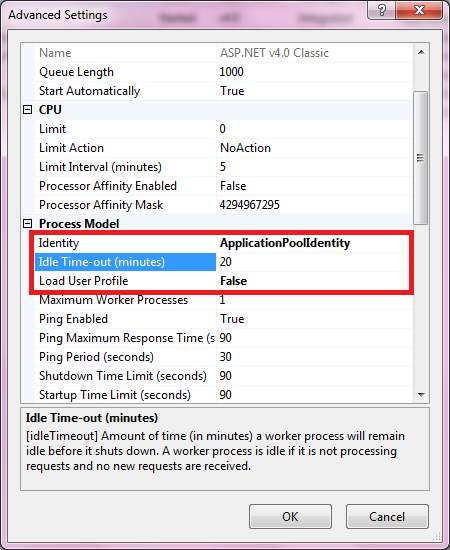 There is a setting for Worker process of IIS which will set memory and resource to allot to application application wide. in my case I was testing my application alone. So application was being idle for more than 20 min to check weather session is alive or not..
from left pane “Connections” select your application. from “Application Settings” window you can see the Name of ApplicationPool. 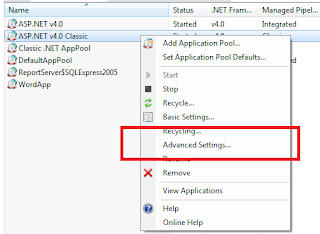 like Asp.net V4.0, DefaultAppPool, Asp.net V4.0 Classic. now close both opened windows. 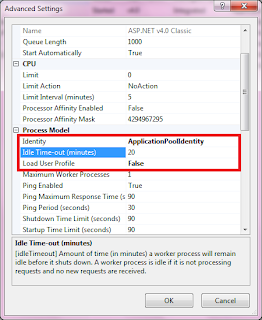 Right click on the ApplicationPool that was assigned to your Application and click on "Advanced Settings...."
in the popup window ... check the Idle time out for ... that cause the timeout while web application is idle. Here are the steps to set Idle time.. In SSRS(Sql Server Reporting Service), I wanted to remove extra options to export my report.